The perfect rugged finishing touch is biker jacket. 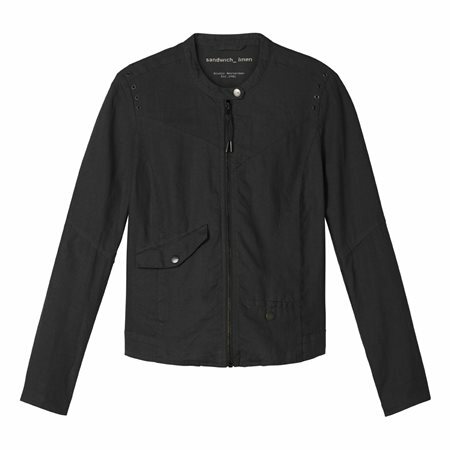 This jacket is made of linen with a jersey insert for a comfortable fit. Eyelets on the shoulders are a nice feature. The jacket closes with a zipper and the round collar has a snap button. The pockets are asymmetrical and close with snap buttons. This jacket is a real must-have.